This summer, RoboJackets will be preparing for a summer full of different robotics contests and community outreach during the year. Many of the specialized teams for different competitions plan to use these events as competitive outlets and places of exposure to technical challenges in their fields of interest. “Each competition we attend has a slightly different vibe, but as a whole, the robotics community tends to be friendly and supportive.” said President of RoboJackets, Ben Nuttle “When teams come together, everyone benefits, and you get tension of a sporting event but none of the hostility. The club already began their summer competitive ventures at the Intelligent Ground Vehicle Competition in Rochester, Michigan where they had technical issues, but the team learned a lot from their fellow participants and had fun along the way. 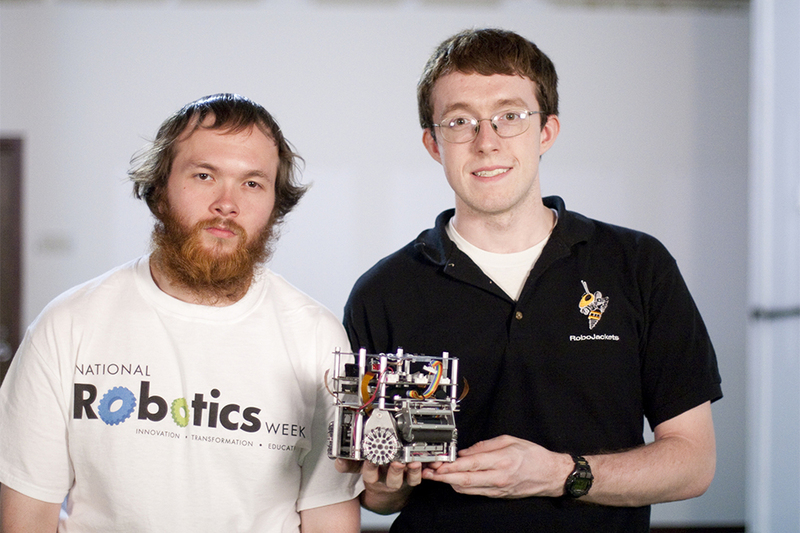 In July, another RoboJackets team is getting ready to participate in the robotics version of the World Cup, RoboCup. This international competiton in Brazil will pit robot teams in soccer matches, and it will give Tech students the opportunity to compete on an international level with other competitors who can share ideas and programming methods. In addition, Robojackets plan to visit Ontario, Canada for the International Autonomous Robot Racing Challenge in late July where they will putting their debut entry to race against other roboticists from various research labs, clubs and universities.